PM: Abracadabra! Thematic Planning is Magical! 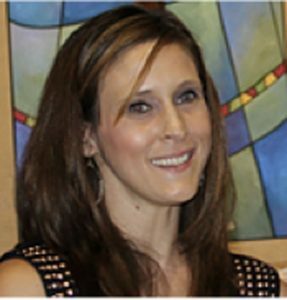 Doctora Ericka Collado is a passionate educator with 18 years of teaching experience in K-16 educational settings. She has also mentored pre-service teachers and presented at numerous conferences nationally and abroad. She holds a Master’s degree in Urban Education with a specialization in World Languages, and a Doctorate in Educational Technology Leadership, both from New Jersey City University. When not teaching Spanish you may find Doctora leading a STEM project, showing children how to program a robot, or connecting with colleagues around the world as a team member of #CharlaELE1, an online community for teachers of Spanish as a foreign language. Description: This session will provide participants with the tools and strategies to set realistic goals, build a solid foundation and create effective thematic units. By using research-based methods combined with extensive classroom experience, the facilitator will guide participants in designing culturally-infused learning experiences, primarily geared toward the novice level learner. The session will be in English with instructional samples in Spanish, that can be easily adapted to other target languages. Abracadabra! Thematic Planning is Magical! Have you ever wondered what makes a learning experience unforgettable? This session will explore how to cross the fine line between fiction and reality, that makes a lesson magical. From simple strategies on how to set up instructional activities to using sophisticated tech tools, the facilitator will guide participants in creating ways to spark the magic through their culturally thematic units. The session will be in English with samples in Spanish that can be easily adapted to other target languages. Arianne Dowd is a Spanish Teacher at South Brunswick High School who is dedicated to lifelong learning. She is passionate about using Comprehensible Input in her classroom in order to engage all learners. Collaborating with colleagues through social media to create compelling and comprehensible units comprised of cultural knowledge is her favorite hobby. She enjoys sharing her work on her blog (https://discoveringci.wordpress.com/) as well as presenting about it at state and national conferences. Arianne also enjoys being the guest blogger for Fluency Matters’ blog CI Peek during the iFLT conference. Authentic Resources are an essential ingredient that expose our students to the products, practices and perspectives of the target culture. However many times they are not comprehensible to our students. Let’s explore how to make authentic resources comprehensible by using a multitude of strategies that fall under the umbrella of Comprehensible Input. Examples will be in Spanish but the strategies can be adaptable to any language. Singing relieves stress and anxiety while also contributing to a better quality of life. So why not hook your students with music? Music videos infuse our classes with authentic language. However the stories and images embedded in them provide a compelling platform for delivering and interacting with comprehensible input. Discover how to view music videos through an acquisition-focused lens. See examples of level-appropriate music studies that cultivate language acquisition, build intercultural competence and connect to AP themes. PM: Teach Grammar as Concepts in Meaningful Contexts: Your Classroom G.P.S. Egnatz is Nationally Board Certified and has taught all levels of Spanish, including AP Spanish Language and Literature. 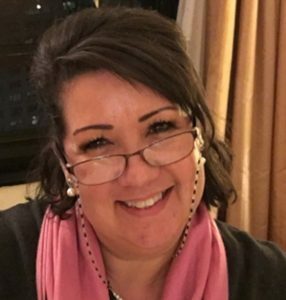 She is a Past President of the Illinois Council on the Teaching of Foreign Languages and currently serves ICTFL as Advocacy Chair and Webmaster. She is a JNCL-NCLIS Board Member and served on the ACTFL/NCSSFL/TESOL/NABE collaborative committee that designed the National Guidelines for the Seal of Biliteracy. 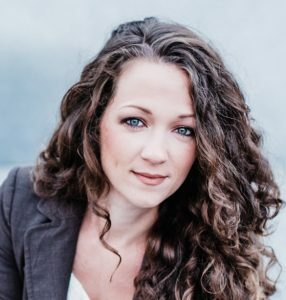 A frequent conference speaker, she embraces opportunities to coach teachers on moving their students toward higher levels of language proficiency. Generation Z, born between 1995 and 2015, represents 25% of the US population. Diverse, independent and digitally-connected, Gen Z is risk-adverse and fights anxiety. Learn exciting ways to maximize the INTERPRETIVE strengths of GEN Z and creative strategies to overcome its challenges to INTERPERSONAL and PRESENTATIONAL activities and assessments. Teach Grammar as Concepts in Meaningful Contexts: Your Classroom G.P.S. It’s so confusing! Research shows that explicit teaching of grammar has little effect on language acquisition, comprehension, or writing abilities. But frequent, patterns of errors in basic structures keep students from moving up the proficiency ladder. This session will provide you with a GPS for knowing how and when to teach structures that matter to growing language competency. Glennysha Jurado-Moran holds her B.A., M.A.T., and Supervision Endorsement from Rutgers University. She has been teaching since 1995 and is certified in Spanish, Special Education, ESL and Supervision. She began her teaching career at East Jersey Stare Prison, teaching math and science for the GED. At the Edison Public Schools, she taught Students with Disabilities from 1995-2001 and was a Spanish teacher at the middle and high school levels from 2001-2013. Currently she is Department Chair of World Languages/ELL at Piscataway Township Schools. Glennysha is also a part-time lecturer at Rutgers University, where teaches a graduate course: Technology in the World Language Class. Glennysha has been disseminating information, providing workshops and in-services for nearly two decades at various school districts, professional conferences (ACTFL, FLENJ, NECTFL, NJEA, NJAATSP and NJ DOE), and universities throughout NJ and the Northeast. Topics include developing interpersonal communication, curriculum mapping, technology, strategies/modifications for Students with Disabilities, and IPA’s. 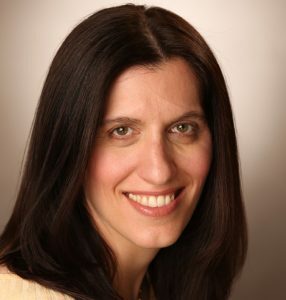 She has written curriculum for Edison Public Schools and created Classroom Application Documents for the New Jersey Department of Education (N.J.D.O.E.). She wrote Thematically Organized Assessments for the CAPS FLAP grant. In 2007, she received a FLENJ Mini Grant for her planning and implementation of pod-casting in the World Language classroom. She served on the model curriculum writing team for NJ DOE. In 2014, she was selected to the committee that revised the NJ Core Content Standards. Her presentation, Chit Chat: Building a foundation for interpersonal speaking, won Best of NJ at the 2015 FLENJ Spring Conference. Do you want to get your students talking and engaged in meaningful dialogue? Do you want to be able to scaffold to improve proficiency? Are you looking to strengthen how you assess interpersonal communication? Come learn how to not only lay the groundwork for a strong interpersonal foundation but also empower your students to advance their proficiency. Learn activities that provide various ways for students to practice at each proficiency level while addressing the various learning styles and meeting the needs of all learners. Learn how to not only design an effective interpersonal prompt but design some that you can use immediately. Walk away with an expanded tool box for assessing the interpersonal mode. The escape room craze is spreading. You and a group of friends solve a series of puzzles in a fixed period time to ‘unlock’ the room. Do you want to harness that excitement into a collaborative problem solving activity with your students in the world language classroom? Participants will learn how to create their own digital escape room games using G-Suite (from a Google for Education Certified Trainer) and other tech tools, as well as authentic resources. During this session, you will create a game (or games) that you can use in your classes immediately. Use the resources you already are using in a fun and engaging way. By creating your own games, you can tailor the input to the appropriate proficiency level of your students. It is recommended that you bring a novel, reading, song or have a film in mind to base your game on (though this is not required). Dorie Conlon Perugini is an elementary Spanish teacher in Glastonbury, Connecticut where she has taught grades 1-5. 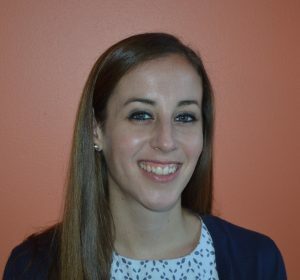 She is also a doctoral student at the University of Connecticut in the department of Literatures, Cultures, and Languages concentrating on Applied Linguistics and Discourse Studies. 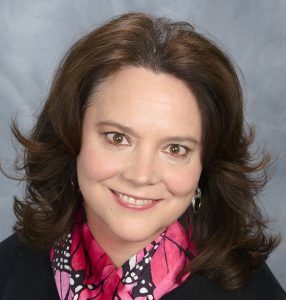 She is active in presenting at conferences, publishing action research from her classroom and for the past 5 years she has served as the Executive Secretary of the National Network of Early Language Learning. She blogs about her classroom experiences at aglobalclassroom.com and moderates a Facebook group for language teachers interested in incorporating Intercultural Competence in their classroom. Most recently, Dorie has co-edited Teaching Intercultural Competence Across the Age Range: Theory to Practice, which shares the journey of world language teachers partnering with graduate students from the University of Connecticut to help students develop intercultural competence. With the release of the updated NCSSFL-ACTFL Can-Do Statements, many language teachers are wondering how to incorporate the Can-Do Statements for Intercultural Communication in their classrooms. Similar to to the Can-Do Statements for language proficiency, these new Can-Do statements allow teachers to set goals for their students and allow students to reflect on their progress. The Can-Do statements also include a Reflection Tool that provides a framework teachers can use to guide their students to deeper thinking about their personal growth. This session will begin by introducing participants to the theory used to develop these Can-Do Statements. Then, participants will closely examine both the Can-Do Statements and Reflection Tool to consider how they can be used in their particular context. The presenter will share examples of how these Can-Do Statements can look in the classroom for a variety of languages and levels. Participants are encouraged to bring a copy of the NCSSFL-ACTFL Can-Do Statements for Intercultural Communication and the Reflection Tool or have them available electronically on their laptop or Smart Phone. Known by many different names, Intercultural Communication (IC) has substantially grown in popularity in the field of language teaching in the past few years. With the release of the updated NCSSFL-ACTFL Can-Do Statements, many teachers are eager to include IC in their lessons, but are not sure where to start. In this session, the presenter will share practical examples of activities and resources teachers can use to help their students develop IC. Examples will be shared from a variety of languages and levels (from novice to advanced). Participants will be encouraged to connect with one another on a variety of platforms so they can continue to collaborate on IC after the session has ended. AM: Reading & Writing Strategies for ALL! 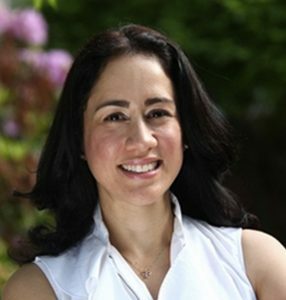 Noemi Rodriguez (@srtanrodriguez) is the Supervisor of World Languages, ESL, Music and Family & Consumer Sciences for the Pascack Valley Regional High School District in northern Bergen County, N.J. She attended Rutgers University, where she earned her B.A. in Spanish and Ed.M. in Language Education. She is currently enrolled again as a graduate student within The Graduate School of Education at Rutgers University to obtain an Ed.M. as a Reading Specialist. Prior to supervising, she taught Spanish in the Freehold Township and Marlboro Township school districts in Monmouth County. Noemi has presented at various conferences including: AATSP, ACTFL, FLENJ, ISTE, NECTFL and NJEA. She won, “Best of New Jersey” for her workshop in the 2014 FLENJ Spring Conference. As an avid user of technology, Noemi enjoys collaborating and sharing with other world language educators through her blog: http://srtanrodriguez.wordpress.com/ She also founded and organized the WL Tech Institute. Session A: Reading & Writing Strategies for ALL! Students acquire language faster through comprehensible reading material. It is time to emphasize reading and writing with your second language learners! Workshop attendees will learn and experience several ways to ingest a text and support spontaneous written output. Building in both reading and writing strategies with your students can empower their interpretive and presentational abilities. Join this session to learn all about how to incorporate pre-during-post reading strategies, different Literature Circle models and utilize Writer’s Workshop with all levels! How do you design a curricular unit based on a culturally relevant theme to be engaging for secondary students at the novice, intermediate or advanced levels? How can you accelerate your students’ speaking and writing abilities? Use literature as your base! Join this session to experience a unit based on a Spanish reader and create a unit & relevant performance assessments based upon a common theme with colleagues. Workshop attendees will learn how to design a unit through backwards design and collaborate with colleagues using level appropriate, compelling readers. In doing so, attendees will establish learning targets, create activities using authentic resources and design relevant assessments for learners at all levels. Come experience how literature can transform your classroom experience and promote true acquisition!